Visionary trips to see FMSC food in action. Feed My Starving Children would like to invite you on a life-impacting Food In Action trip! 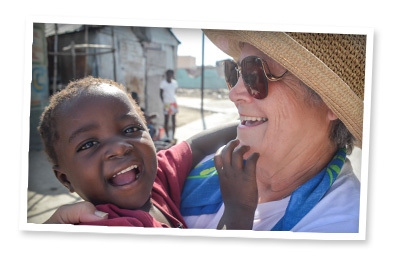 FMSC is partnering with Praying Pelican Missions to provide the opportunity for volunteers to see first-hand the communities that have been impacted by FMSC food and build relationships with those who live there. On this trip, you will join fellow volunteers from across the country to visit FMSC food distribution partners, see first-hand the work they do and encourage them in their ministry. You will have the opportunity to participate in FMSC food distribution, as well as various other ministries including community development and children's ministry. The second-largest nation in the Caribbean, the Dominican Republic features sparkling beaches and beautiful resorts. Despite the country's vast beauty, many struggles face the people that call the Dominican Republic home. Feed My Starving Children partners with multiple organizations in the Dominican Republic that work with both Dominicans and Haitian immigrants to the DR. These trips will allow you to build genuine and deep relationships directly with kids that receive the food and interact with smaller partners doing grassroots work to alleviate poverty. The poorest country in the Western hemisphere, Haiti has long been the country that has received the most FMSC food annually. Feed My Starving Children works with roughly 200 partner organizations in this small country, ranging from large mission compounds to small churches and orphanages. On FMSC Haiti trips, you will encourage and support Haitian leaders and missionaries who are spending themselves to see their communities built up, both physically and spiritually. Opening MannaPack Rice bags to feed children in Haiti. Sharing love with a child in Haiti. Bringing a gift to a child in Haiti. FMSC staff washing water bottles on a mission trip. Bringing MannaPack Rice to children at Sport Disciple in Haiti. "I recently returned from an FMSC mission trip to Haiti. It. Was. Everything.... They told us you could not go to Haiti and come back the same person. They were right.